The Recording Academy will hold the 61st Grammy Awards on February 10, 2019. First round voting in October placed two CDs of particular note one step closer to official nominations in two categories: Best Chamber Music/Small Ensemble Performance and Best Orchestral Performance. Respectively and notably, American Romantics II and American Romantics III, released through Naxos and New Focus Recordings in the past year, feature 25 works written around the turn of the 20th century by 14 American composers. The Edwin A. Fleisher Collection of Orchestral Music provided all of the sheet music – conductor’s scores and musicians’ parts – used for these recording sessions and each track is a world-premiere recording. You can listen to samples of both albums below via Spotify. Australian-born conductor Reuben Blundell, who has a long-standing relationship with the Fleisher Collection and has spent many hours in our Collection poring over music and carefully selecting repertoire, conducted the Gowanus Arts Ensemble and the Lansdowne Symphony Orchestra for these recordings. Gramophone music critic Donald Rosenberg touted the CDs for "shapely, animated performances … [executed with] bountiful finesse." Listeners will surely find these works short, attainable, refreshing, and distinctive with their Native American and African American accents. To a Vanishing Race and the Thunderbird Suite by Charles Wakefield Cadman (1881-1946) and Minnehaha’s Vision by Carl Busch (1862-1943) exemplify the contemporaneously flourishing Indianist movement. Busch’s orchestral arrangements of Stephen Collins Foster’s Old Folks at Home and My Old Kentucky Home (also now famed as the official state songs of Florida and Kentucky) touch on African American folk themes that were otherwise being appropriated in the minstrelsy movement. 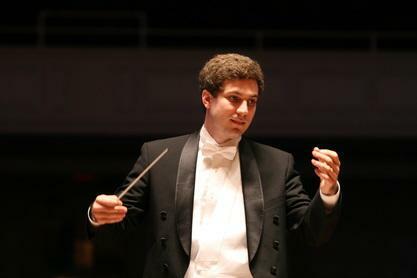 Two more orchestral arrangements come from Edwin Fleisher’s long-time Symphony Club conductor William Happich (1884-1950) and include A Memory by Gena Branscombe (1881-1977) – a Canadian-born female composer. 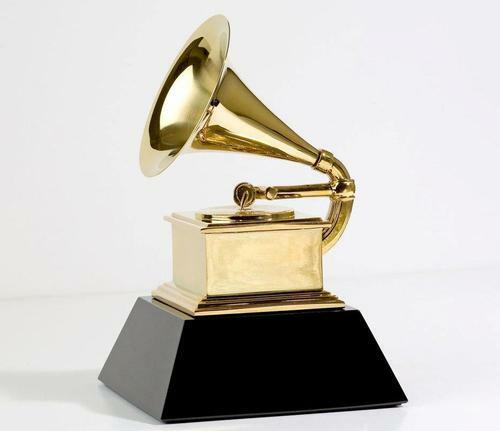 The process for getting to the Grammys is rather straightforward but highly competitive. The Recording Academy receives over 20,000 submissions annually that span the gamut of genres. Entries come from members and registered media companies for two weeks in July and two weeks in August. The voting round in October determines which entries will be considered for nomination in December. The December 5th vote identifies nominees to be invited to the Grammy ceremony and from whom the final winner will be selected. Maestro Blundell’s contributions were among 141 entries this year deemed eligible for the Classical category. As the December nomination process approaches, Blundell humbly admits, "I’m pretty thrilled … though getting to the next round is a tall order." We're pretty thrilled, too, and recognize what an honor it is to be considered! Previously, the Fleisher Collection provided the performance set for Tres Danzas by Colombian composer Guillermo Uribe Holguín (1880-1971) for the Chandos label release, Fiesta Criolla. Recorded by the Württemberg Philharmonie Reutlingen under the baton of Argentine conductor Gabriel Castagna, it earned a 2012 Latin Grammy Nomination for Best Classical Album (Cuarteto Latinoamericano won that year with a recording of works by Brazilian composer Francisco Mignone). As part of the Free Library of Philadelphia’s mission to advance literacy, guide learning, and inspire curiosity, the Fleisher Collection works hard to get pages to stages around the globe for concerts and recordings. We are truly excited for Maestro Blundell, the Gowanus Arts Ensemble, and the Lansdowne Symphony Orchestra, and we are proud to have been a part of these important recordings as we wish them well with the next round of voting! Best Chamber Music/Small Ensemble Performance and Best Orchestral Performance award nominations will be announced on December 5th. Thanks for sharing, this really seems fantastic. Add a Comment to The Fleisher Collection: From Page to Stage to Grammys?